Melissa McCarthy is almost unrecognizable in these American and UK posters for the movie “The Heat”. In popular culture it can be pretty difficult to find examples of bodies that represent how most people in our world actually appear. 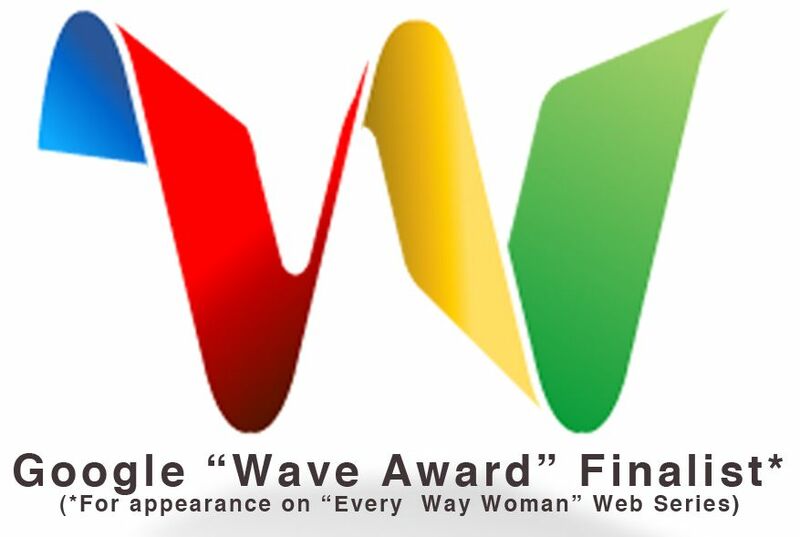 While the average American woman is a US size 12 on the top and a US size 14 on the bottom, the average American actress, pop music icon or model is closer to a size 0 or even a size 00. Both of these sizes are quite a distance from what most of us see in the mirror every day. But even these sizes often prove too large for film studios and record labels and fashion magazines. Even the size zero girls are likely to be “shopped”. By “shopped” of course I mean digitally retouched in an image editing software package like Adobe Photoshop(R). And sometimes this digital retouching is done without the will of the original actress, model or performer. Just today, I’ve run across two amazing examples of Photoshop culture. 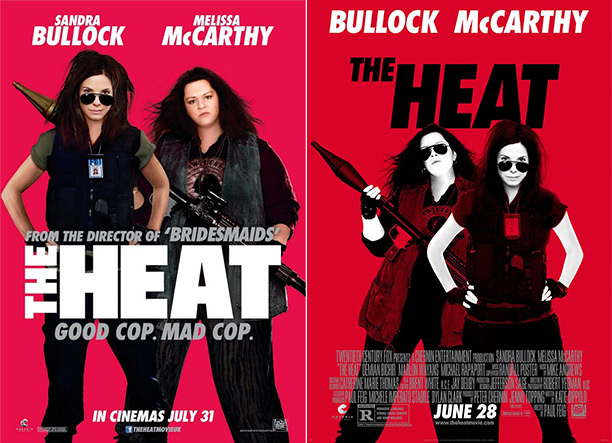 Apparently, one of the few plus-sized actresses in Hollywood, Melissa McCarthy was significantly “shopped” in both the American and UK version of the movie posters for her upcoming movie The Heat. In the American version her image is seriously washed out, and this over exposure seems to make both her signature dimples and her double chin disappear. The UK version is even more noticeably retouched. In fact the slimmed down face, redrawn chin and tiny head in relation to the body not only render her as unrecognizable, but also, not necessarily human. She just looks weird. In other news, Beyonce was severely Photoshopped into a “model artists rendering” of herself in order to display a Roberto Cavalli dress. Not only does she not look like herself, but she also doesn’t look quite human with those impossible, stick-thin arms and legs and ludicrously elongated body. Which seems especially ludicrous when you compare these images with real images showing just how gorgeous she looks in this dress in real life. Even Minnie Mouse is not immune to being “shopped” to sell a dress. More and more often, stars are speaking out about the process of being digitally retouched against their will. They understand the impact that these impossible images are having on the way women, and especially young girls feel about themselves. It’s no longer enough to compare ourselves against the very small, and elite number of actors and performers who happen to wear a size 0 or a size 00. Now we are expected to compare ourselves to artist renderings of impossible people. Until we say “Basta!” or “That’s enough!” The only way for us to move beyond the tyranny of these images is to identify them as fictional constructs, and then refuse to buy products from companies that feel the need to display their wares on pretend people. In other words, it is in our power to decide, “If it ain’t real, it don’t appeal”. So what do you think? How do you feel when you see Photoshopped images? Are there any examples you’ve run across that are particularly misleading and damaging? Can you share them with us and let us know how you felt? Can you share stories about how you presented these images to your friends, your students and your kids? Or have you noted any amazingly and refreshingly honest images about how real people look? Please feel free to share those examples with us. And in the meantime, you can resolve to stop comparing yourself to pretend people once and for all! This entry was posted in Uncategorized and tagged activism, beyonce, celebrities, Digital retouching, HAES, Health At Every Size, Melissa McCarthy, photoshop, Shop with your feet, size acceptance, Size Diveristy, The Heat on June 12, 2013 by fatchicksings. AMEN! No matter what we do or how we look, it seems like we are never enough.